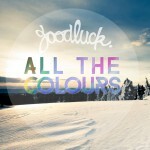 JUST MUSIC Is Proud To Announce The Signing Of South African’s Hottest New Act – GOODLUCK. Goodluck Is The Name On Everyone’s Lips Following The #1 Success Of Their Debut Single ‘TAKING IT EASY’ Which Has Been A Smash Hit On National, Regional & Campus Radio Stations Around The Country. The Album Was Mixed And Mastered By Wez Clarke (Ministry of Sound/Hed Kandi) At Pushin Sound Studios In London. Call it electro swing or intelligent dance music of the most sublime kind. Whatever name you give it, there’s no denying that GoodLuck’s aiming straight for your heart (and feet) with the set of songs on the group’s fantastic debut album. 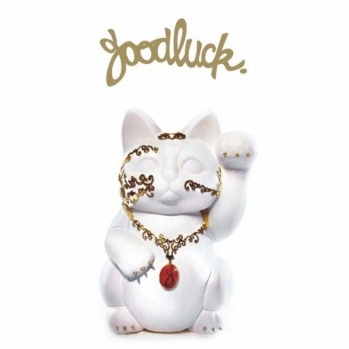 Self-titled, and now released by Johannesburg-based Just Music after an initial sold-out pressing by the band itself, GoodLuck’s debut delivers on the promise contained in its biggest calling card to date – its live shows. From Durban to Dubai, Grahamstown to Cape Town, Ben Peters and Juliet Harding – now augmented by RaivenHansmann on both sax and keyboards – have been leaving music fans smitten with their surprisingly raucous, intoxicating live shows that have already earned the Cape Town-based crew a devoted following. “The past year was pretty insane with gigs – everything from festivals and 2010 World Cup shows to smaller corporate and club gigs,” says Ben of the band’s live journey so far. Since opening 2010 with a headlining New Year’s Eve gig at Cape Town’s Greenmarket Square, GoodLuck has crisscrossed the country and different venues at a head-spinning rate. Among the highlights of an intense gigging schedule last year was performing alongside Lira and HHP at the J&B Met, showcasing at the Design Indaba, playing Splashy Fen, opening for Paul Oakenfold and, “our ultimate,” says Jules, supporting the band’s musical heroes, Basement Jaxx. It’s no surprise that GoodLuck singles out Basement Jaxx as a musical inspiration: the English house duo is known for its daring in the studio and on-stage, and its eclectic approach to music-making – two things that GoodLuck hold great stock in. After causing a stir on South Africa’s live front and earning attention with some well-placed sync deals (including slightly recasting “Sixteen66” for a JC Le Roux commercial and working with Liquideep, Teargas and Zamajobe on the “Hennessey Artistry” campaign) comes GoodLuck. It’s a 12-track record that’s as smart as it is irresistible; as radio friendly as it is dancefloor ready – and it’s bound to catapult GoodLuck onto a national, if not global stage. What marks out GoodLuck’s debut isn’t the stifling insular approach that all-too-frequently hampers electro music of any kind. For Ben, it’s the same: “I’ve never had traditional beliefs about the boundaries that are put in place between different music genres or different audiences. It’s an open terrain as far as I am concerned,” he says. Already, GoodLuck’s transition from the live stage to the recording studio has found a willing audience with “Taking It Easy” riding effortlessly onto radio countrywide, blasting out of stations like 5FM, 94.7 Highveld Stereo, Good Hope FM, OFM, Metro and East Coast Radio. But for Ben and Jules, there’s never any sense of tailoring their music to fit a market (unless you count the commercials and possible TV and film work that beckon). As GoodLuck suggests, the duo are always in service of the music, aided and abetted by some of the country’s most interesting talents. Among these are Sean Ou Tim who contributed songwriting to “The Vision” and “Kissed In Soho” with Jules and Ben handling writing duties for the remainder of the album. Also turning up are Lee Thompson (trumpet), Ross McDonald (trombone), Dave Ledbetter and Carl Wegelin (guitar) and Monique Van Willingh (flute). There’s also a spread of tremendous vocalists joining Jules in the studio – among them Mathew Moolman, Antony Oseyemi, Lisa Kekuala (a regular vocalist for Basement Jaxx and handling the unforgiving “Harlem” with ease) and Nathan Woodman. 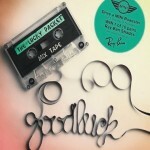 GoodLuck’s have also worked with some of the world’s leading dance and electronic producers on their debut album who have added their touch to the single remixes. These include: German producers Lissat&Voltaxx (Stealth Records, Toolroom, Ministry of Sound + remixing the new Milk & Sugar single); Italian Stefano Noferini (Toolroom, HedKandi, Spinnin, Joia, Azuli); Russian production team Swanky Tunes (Spinnin, CR2, Size. 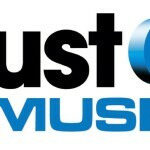 Mixmash) and one of 2011’s biggest new names Italian David Jones (Hed Kandi, Ultra, Superstar, Kontor & Time). The result of this all-in music making are songs that take in the full range – from blissed-out (the flute-infused “Electro Thing”) to melancholy (the mournful “Kissed In Soho”, with its ringing brass and Louis Armstrong-esque vocals) to dirty-edged (the unmissable “Dirty Boys”) to the supercharged pop hit (the enormously catchy “Taking It Easy”) and the “quietly massive” track (as Raiven puts it) in “The Vision”. Next up on radio, and a fitting follow-up to “Taking It Easy”, is “Hop On Hop Off”, a delight of a tune that opens with a nostalgic throwback (made effective by Woodman’s gruff vocals) before swinging off into a futuristic electro direction. For now, ‘though, the group’s members are keeping their cool, making the clever choices to get the GoodLuck brand (these are 21st kids after all) out into the world. Helping Jules along is a tiny Maneki Neko – the Japanese sculpture known to bring good luck to its owners. It seems hardly necessary – the luck thing – now that GoodLuck’s career is veering skywards. The group is booked solid for a lot of 2011 and, with an album as jam-packed with singles as GoodLuck is, there’s all likelihood that radioplay will be pretty relentless. Sponsors have also been quick to get on board the GoodLuck runaway train, among them Mini, Marshall Music and, the group’s first-ever supporter, Puma.